Welcome to “Gettysburg Social!” This bi-monthly column examines the latest social media trends, while highlighting Gettysburg and Adams County businesses. This article was first published in Celebrate Gettysburg magazine, July/August 2013. The saying goes, “Everything old is new again,” and how very true when new technology aids us in better understanding American history. With the 150th anniversary of the Civil War upon us, I thought it would be highly appropriate to examine a tech trend that can literally put history at our fingertips. Apps, short for application programs, are downloaded to mobile devices such as smartphones or tablets, and they aid us in everyday tasks such as finding directions, checking the weather or alerting us to the latest news. Lots of apps also entertain us. Angry Birds, anyone? Apps are tailored for our various devices—primarily Android devices or Apple products, such as iPhones. In 2008, when the iPhone launched, there were 800 apps available. Just five years later, that number has exploded to 775,000 according to Apple. 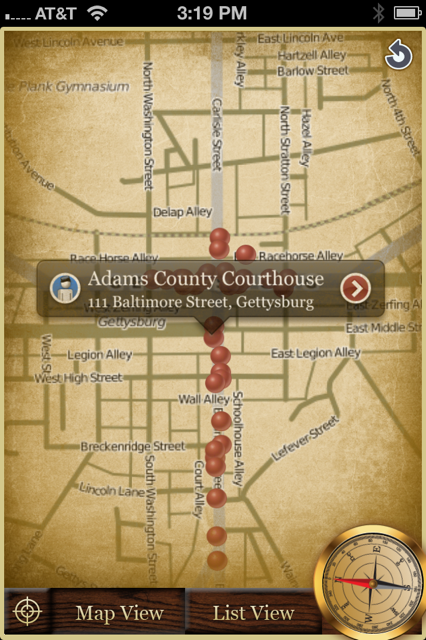 Gettysburg 150th Walking Tour: Developed by the Gettysburg Convention & Visitors Bureau, this app features a tour of key downtown Gettysburg landmarks with voiceover narration. The Civil War Trust’s Gettysburg Battle App: Stories, videos, audio, maps, facts and images work together to bring the Battle of Gettysburg to life in two key locations—Devil’s Den and Little Round Top. PA Markers: Drive any given stretch of roadway in Pennsylvania, and you’re bound to see navy blue historical signs. This app, developed by public radio and television station WITF, provides brief history lessons behind all 500-plus signs in the Keystone State. 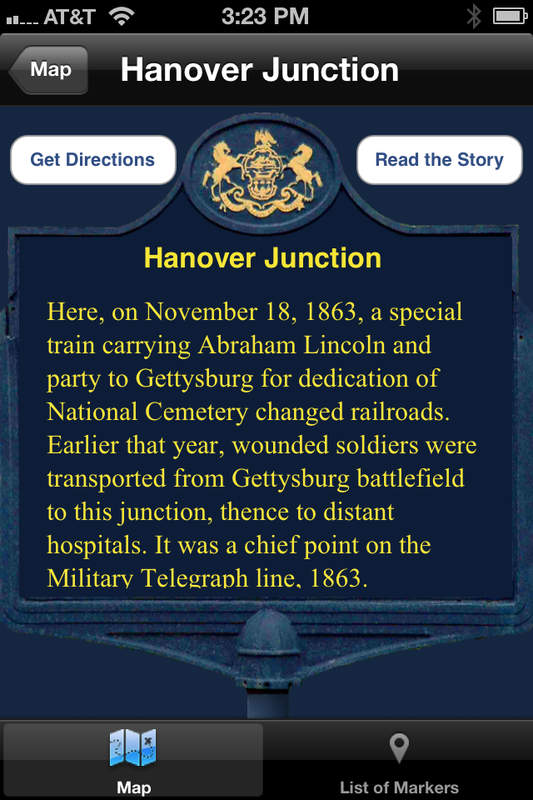 Two additional apps fill the gaps in your travels in Adams County and beyond: The new Celebrate Gettysburg magazine app puts every issue conveniently at your fingertips and the Maryland Civil War Trails app takes you across the Mason-Dixon Line for history, events, restaurants and much more. Do you utilize apps while traveling and exploring? Feel free to leave a comment and share your favorites! This entry was posted in Uncategorized and tagged Celebrate Gettysburg, Civil War 150, Civil War Trust Gettysburg Battle app, Gettysburg apps, Gettysburg Social, Gettysburg walking tour, Maryland Civil War Trails, PA historical markers, PA Markers, Pennsylvania travel, travel apps by Karen Hendricks. Bookmark the permalink.